These were at my desk since a week, and I had no time to see them or write about them. I thought I’d be the first one reviewing about these after the wait I had for these lipsticks to launch here in Dubai. 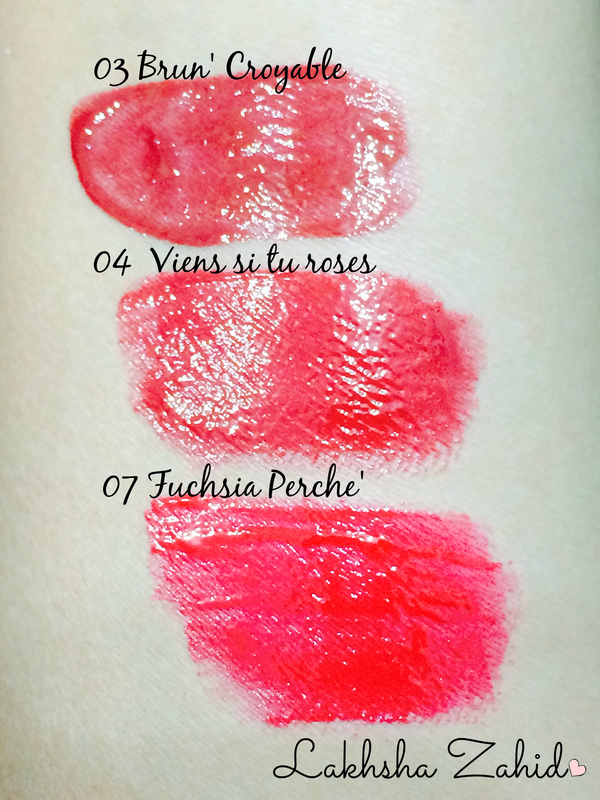 The all new, Rouge Edition Aqua Laque, was launched by Bourjois in 8 intense colours, from nudes to red to pinks namely : 01 Appêchissant, 02 Rose on the Rocks, 03 Brun’croyable, 04 Vien si to Roses, 05 Red My Lips, 06 Feeling Reddy, 07 Fuschia Perche & 08 Babe Idole! It contains Nymphaea (aquatic plants) extract to smoothen and moisturise. It has mirror like shine whether it be any colour & 10 hours hydration. The applicator? Oh it’s very smooth! Well, they are pretty similar to Rouge Edition Velvet lipsticks, but the formula & the finishing of both is pretty different. It’s just like lip gloss, but yes not sticky at all so you don’t need to worry about that problem. Also, you do not require a lip pencil or lip primer. You can wear this specially for parties when you need a glossy look. 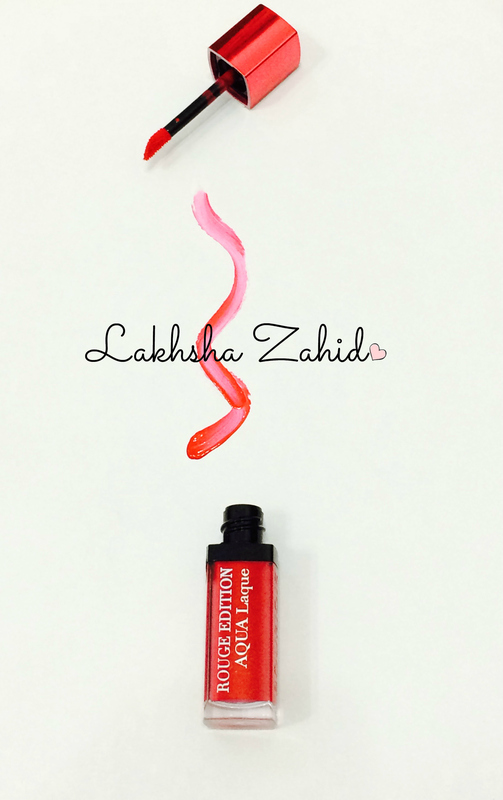 Try them too, you will for sure love them, I can’t wait to try the other shades!